A Divorce is separate from other issues in a separation/divorce such as support issues, custody/access, and property division, but the Divorce can be added to the litigation of those issues. One spouse can ask for a divorce or both spouses can apply for a joint divorce. You could be decreasing the amount of time for you to resolve the issue of equalization (i.e. property division in a marriage) before your claims terminate due to a limitations issue (i.e., limitations mean you have run out of time to make your claim). 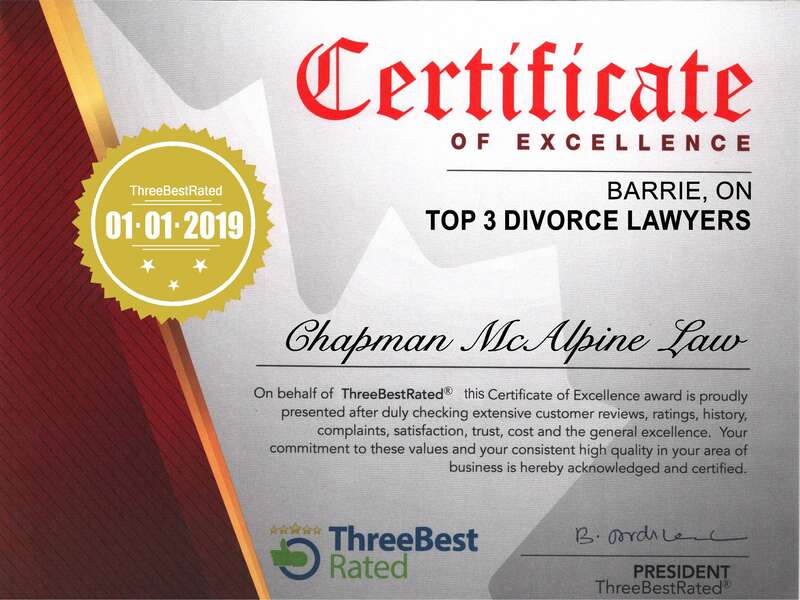 To obtain a Divorce only with one of our Divorce Lawyers, Chapman McAlpine Law charges a one-time flat fee of $1550.00 which includes court costs/fees and HST. Please contact us today if you would like us to represent you in your Divorce.